The Queen of the Skies is disappearing from the skies…but there’s still time to fly her. While this list is not exhaustive, here’s a look at a dozen airlines that still operate the Boeing 747 on scheduled passenger routes. Air China operates both 747-400s and 747-8s commercially. Air India just has a few 747s left and uses them on midhaul routes like Jeddah to Hyderabad. With 36 747-400s still in the fleet, BA is the largest commercial operator of 747s. Look for the 747 on routes worldwide. China Airlines is accelerating the retirement of its 747-400s, but still uses them on some routes to Mainland China, including Guangzhou and Shenzhen. EL-AL is replacing its 747s with 787s, but still flies the 747 to London, New York, and Bangkok. Korean Air operates both 747-400s and 747-8s. The -8s feature Korean’s latest business and first class product and will likely be in the skies for many more years. 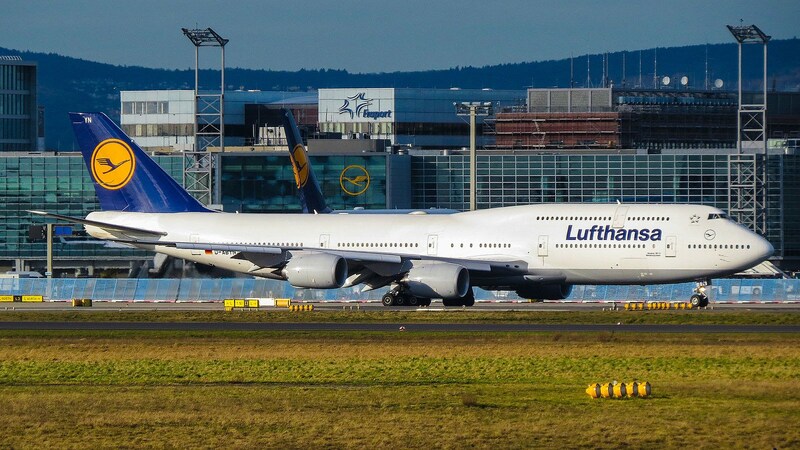 Lufthansa has ripped first class out of its 747-400s, but still operates 13 aircraft. Furthermore, Lufthansa has 19 747-8s in the fleet. You’ll have a few years at least to fly this aircraft on Lufthansa and I’d guess even longer. Qantas plans to retire its 747-400 fleet, but still has 11 in commercial operation. Perhaps the most exotic on the list, Rossiya Airlines operates nine 747-400s on routes with the Russian Federation. Saudia is updating its fleet with new 777-300s and 787-8s, but still operates the 747-400 on select routes. Thai Airways offers a beautiful first class product aboard its 747-400 but perhaps one of the oddest and least competitive business class products. The carrier still has 10 747s in operation. Routes between Australia and Bangkok are a great way to experience the Thai Airways 747. The onboard bar on the Virgin Atlantic 747-400 is perhaps the nicest of the fleet. These 747s are slowing being retired. The 747-8 is still a new-ish aircraft and will be in the skies for years. Unfortunately, the lack of demand for this four-engine aircraft will likely lead to the death of the 747 program and the eventual end to the Queen of the Skies. But for now, you still have time. For U.S. travelers, though, it is not quite as easy as it used to be. I’m quite surprised you included Rossiya but not KLM. Their livery looks best on the 747, and KLM names them after large cities they’ve been flying to for decades, though oddly enough those cities are not where they fly their 747s to. They’re mainly flown on routes to Africa and Asia, and I believe LAX. Leaving out KLM was an oversight. I’ll add it in later today. KLM’s are the only ones I’ve flown regularly as an adult. I’ll miss them when they’re gone, but both Air France and KLM (the ones I use to fly to Europe on paid tickets) have up to 3 flights a day each from LAX. I really value that over anything else. Royal Air Maroc still flies their lone 747-400. They fly it between CMN and YUL from June 22 until September 15. Not sure what they do with the aircraft in between these dates. TG also flies their 747s on domestic routes, which can be fun. In my experience they don’t sell F on them, so if you have a J ticket and ask nicely at check in (having star alliance status doesn’t hurt), you may be able to get them to assign you an F seat. Service is still J, but I was able to have my only 747 1A experience on an HKT-BKK hop as a J passenger, which was a bucket list item for me! Asiana still has some active 747’s. I flew on one last week from MNL to ICN. Frame HL7428. Actually scheduled to fly LAX-ICN today! All of the Virgin 747s are based at Gatwick meaning there’s only a tiny bar in the nose of the plane due to the tiny Upper Class cabin in the nose. The Heathrow fleet had the nice spacious bar but they’re all gone now. I was at Manchester Ringway in April 2018 and there were three Virgin Atlantic 747’s on the ramp. One flight to New York One was going to Orlando. So they not all of VA 747 are based at Gatwiek. Doesn’t Eva Air still use them? I flew on one a couple of years ago. Great airline. EVA bid ripperoni to their 747s on August 24, 2017. So what’s the general choice of replacement? 340 if sticking with 4 engines? Or a preference of with 350s and 787s? 350, 787, or 777-300 or 77X. Iraqi Airways still flies 747-400 to Dubai. What a cool livery it sports! Virgins 744’s have a further stay of execution till late 2020 due to the issues with the A350 1000’s Trent engines. Virgin have stated the 787 is just to small to cope with Orlando demand. Which begs the question why they didn’t order some 77×9’s instead? Why not re-power the 747 with tw0 GE90 engines (roughly the same amount of thrust as the 4 engine version) and fly it ETOPS? 1. The GE90 wouldn’t have sufficient ground clearance for routine operations. Look at how dodgy the installation was when GE were testing the engine on their 747. You can’t mount the GE90 at the outboard position; it would snap the wing. If you mounted it at the inboard position, and had no engine at the outboard position at all, you’d have bending relief problems, which would required added weight and bracing, eating into any advantage in economy. 2. The power would be marginal. The GE CF6-80C2B1F produces 57,900 lb of thrust, so replacing a pair of them would require 115,800 lb of thrust, or slightly more than the GE90-115B produces. Replacing the engines on the ER and ERF versions, which are the B5F variant, would be impossible, since they’re rated to 62,100 lb each. 3. Even if you could make the engine fit safely, and even if you could eke out enough power to match the maximum output on a current -400, it still wouldn’t work. The 747 is too heavy. The concern isn’t about engine failure at cruising altitude, where it can hold level on two of the four engines without undue difficulty. The problem is takeoff operations. Engine failure on takeoff roll is not critical on a 747, because it has three other engines. However, with two GE90-115B engines, it wouldn’t have enough power at MTOW to get into the air, and thus would be uncertifiable. Even if GE upgraded the GE90 to the 140-150k lbs range that it would need, Boeing would then have a problem of excessive thrust asymmetry, which would require a larger rudder to counter the yaw. Long and short: it’s not that simple, much though we wish it were.